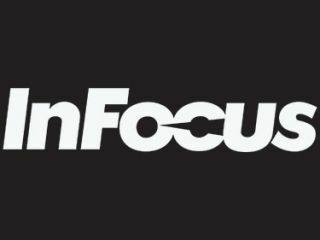 InFocus has expanded its executive team by naming Dave Litwak as senior vice president of its worldwide sales organization and Vikki Rehn as vice president of software engineering. Litwak will have global responsibility for InFocus revenue, targets, strategy, emerging markets and unit sales growth. He will also contribute with his peers in providing direction and feedback at the senior executive level across all InFocus functional teams. As VP of software engineering, Rehn will lead the company's embedded and traditional software development operations, and be responsible for development and integration, as well as software quality assurance operations, worldwide. InFocus has embarked on an ambitious growth trajectory beginning with Mark Housley's appointment as CEO in October 2015. The company is expanding its product range with recently announced acquisitions, as well as through strategic partnerships with companies such as Foxconn. Litwak will have responsibility across the global sales organization and will oversee expansion efforts in all regions. "InFocus is focused on growth, delivering new products in new markets and expanding our footprint," said InFocus CEO Mark Housley. "We are assembling an accomplished team to drive these efforts across the board and bringing Dave on board to drive our global sales will accelerate our progress in a very specific and important function. He has significant tenure in technology sales as well as deep experience with both established companies and start-ups, both of which will serve us well as we advance our presence in established and emerging markets around the world." Litwak has more than two decades senior leadership running sales, channels and retail teams for software, high tech and consumer electronics companies. Prior to joining InFocus, Litwak served as the SVP of sales at MarketLive, Gearworks and PayNearMe. "Software drives technology advancement," said Housley, "but it also adds complexity. Vikki's role will be critical in helping us include the newest, most advanced features while maintaining a seamless, plug and play user experience. We are so pleased to have her on our team." Rehn brings more than 20 years of experience managing engineering and software development for large and small companies, with a hands on, customer experience focus. Prior to joining InFocus, Rehn led engineering for Vigilent, where she managed the software, firmware, and hardware comprising the IoT architecture of the Vigilent dynamic cooling management system. Earlier, she was VP of Software and QA for Ascend Communications leading to and through its acquisition by Lucent Technologies.